“Some of you will already know that I have been looking into alternatives to Global Business Browser. This resource has served us well for many years but, more recently, has not been meeting the needs of students quite as well as it used to. Following a trial of Bureau Van Dijk’s database Orbis, this has now been purchased as a (partial) replacement for Global Business Browser. This database provides in depth financial data in relation to very large global companies. To enhance the content on this database, I have also subscribed to the EIU Market Indicators and Forecasts component. The Northampton Business School (NBS) have announced dates for their Research Seminar Series in April and May. The sessions are open to all staff and doctoral students. 28th April 2016 at 13:00 in C226. 4th May 2016 at 13:00 in C226. 11th May 2016 at 13:00 in C309. Maher Daboul, Phd Student. Transfer Seminar. 25th May 2016 at 13:00 in C227. Please email Debbie Christopher if you would like to attend. Northampton Business School is holding the 19th annual Dilemmas for Human Services International Research Conference from 12-14 September 2016. The link for the call for paper to the Conference 2016 is here. 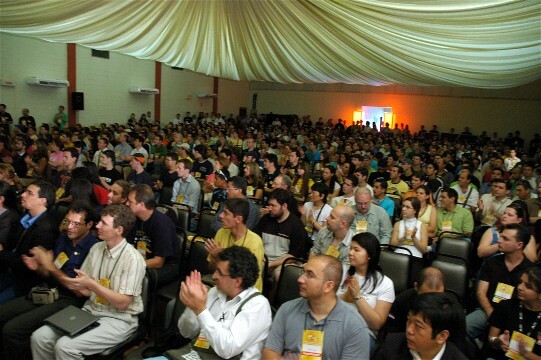 The Dilemmas conferences date back to 1995, and are organised by researchers working at Keele University, Staffordshire University UK, the University of East London UK, Luleå University of Technology, Linköping University, and Linnaeus University, Sweden and now Northampton Business School. Theme of this year’s conference is change management and most of the discussion will be around managing change from different perspectives (Challenges, Ethics, Gender,……). The above workshop will be held in room C226 on 18th November from 2 to 4pm. Dr Mohamed Saeudy is lecturer in Accounting and Finance at School of Management and Business, Aberystwyth University. Dr Saeudy is a qualitative researcher in Social and Environmental Accounting. His research interest centres on how financial and accounting practices may help business institutions to be more sustainable. His work has focused on developing organisational lenses to understand accounting for sustainable development practices in different organisational settings e.g. small and medium size businesses and higher education institutions. His current work explores the accounting for sustainable development practices in the banking sector. Furthermore, his research interests focus around the main impediments and motivations of organisational sustainability. Dr Saeudy has spent many years working in the banking industry in Egypt and UK. He had also held a research and teaching commitments in accounting and finance at the University of Derby. He also led and taught the Green Accounting and Sustainability Modules at Keele University covering the topics ranging from accountability processes to sustainable business strategies and policies. If you wish to attend please let Debbie Christopher know. The very first Northampton_Business_School_Conference will take place on Thursday 18th June at Sunley Management Centre, University of Northampton. All staff and PhD students from the Business School and across the University are welcome. The Programme will be released shortly. The day begins with a presentation from our Guest Speaker, our Visiting Professor Carol Atkinson, Professor of HR and Associate Dean for Research, MMU Business School. This is followed by three streams of presentations by NBS staff and PhD students, totalling nearly 30 papers, split into five tracks: Marketing and Logistics, Education and Language, HRM, Entrepreneurship, and Sustainability & Corporate Governance. For more information please contact Sandy McDonald or Kathleen Mortimer. The library has just purchased WARC, a database of brand case studies, campaign videos, articles and trends. Over 8500 WARC case studies can be searched by industry sector, country, region, campaign objective, media and more. Articles and research papers are grouped into 80+ topics ranging from alcoholic drinks to utilities and WARC guides include company profiles, best practice articles and briefings on communications and branding. Business Source Premier is one of the leading databases for business subjects. A competitor product to ABI Global, it has both peer reviewed and trade journals; industry reports; company profiles, SWOT analyses and country economic reports. Significantly, it provides access to the Harvard Business Review (not available from ABI Global) and McKinsey Quarterly. We currently have trial access to Business Source Premier, but the library is planning to purchase the database later this year. Login arrangements will be the same. You can access Business Source Premier via the library’s A-Z list of databases and using your regular university login. It is supplied by EBSCO so you will need to select it from their list. We now have access to 250 ‘Emerging Markets’ case studies on the Emerald database. Our new subscription includes perpetual access to all of the 2014 reports and also an archive back to 2011. These reports cover a range of subject areas including Entrepreneurship, International Business, HRM, Management Science, Marketing, Strategy and Tourism and Hospitality. Each case study comes with notes for teachers, which may be accessed via a separate login (teaching staff please contact your librarian for details). Dr Katrina Pritchard and Dr Rebecca Whiting from Birkbeck University and the Open University will be giving an NBS Research Seminar on their use of Web 2.0 data as part of their Age at Work research. This includes the use of blogs, images and text from Google, Nexis, Twilerts etc and will take place in Cottesbrooke C226 on 12th February at 12 noon. All UN PhD students and members of staff are welcome. We now have a number of people researching the use of social media and this seminar is an ideal opportunity to find out what other researchers are doing and what methodologies they employ. If you are interested in attending please email Sandy MacDonald.